SALT LAKE CITY – It’s not standard uniform issue and it might look odd on a basketball court, but the intent of the message was clear. 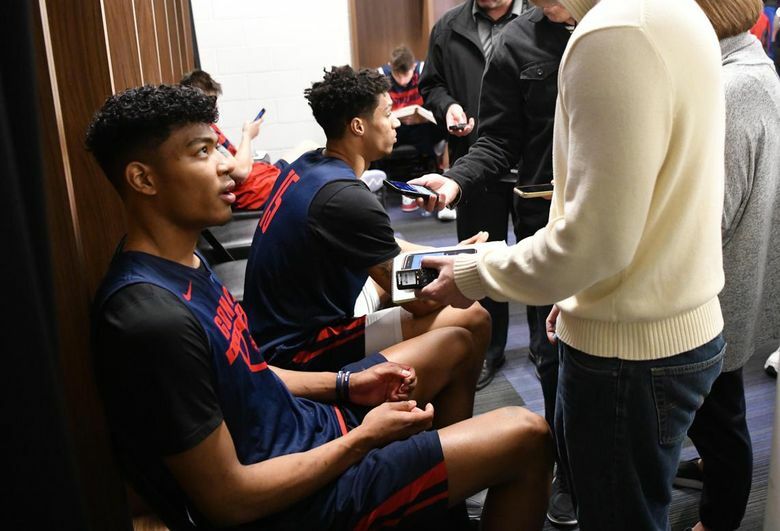 “Coach (Mark) Few said we have to get our hard hats on,” said senior point guard Josh Perkins, characterizing Saturday’s matchup between top-seeded Gonzaga and hard-nosed Baylor in the NCAA Tournament round of 32. Gonzaga (31-3) has pounded most foes in its path and possess one of the most efficient offenses since the turn of the century. 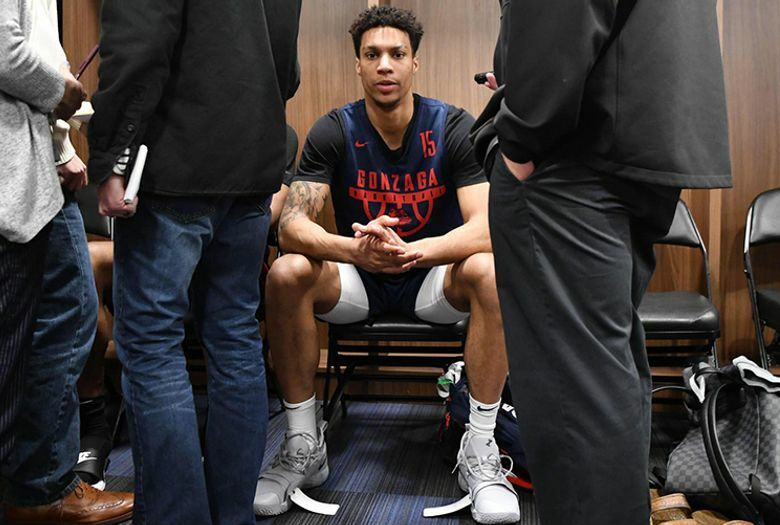 The Zags are right where many thought they would be. The ninth-seeded Bears (20-13) have made it where very few thought they could go. They had just three returning letterwinners, fewest of any Power 5 conference program. They were picked ninth in the Big 12 preseason poll and late into the conference season they were still contending for the title. The Bears’ injury list could run a few pages long. They’ve reinvented themselves a couple of times, the latest version a small-ball crew that leans on toughness, offensive rebounding and knocking down 3-pointers. That was Baylor’s formula in Thursday’s win, shredding No. 8 Syracuse’s zone with 16 3s. “He’s done an amazing job with all the adversity they’ve had thrown at them,” Few said of Baylor coach Scott Drew, who has guided Baylor to Elite Eights in 2010 and 2012, and Sweet 16s in 2014 and 2017. Asked for a rundown of Baylor’s injuries, assistant coach John Jakus needed a full minute to detail the comings and goings of a handful of players, including the loss of forward Tristan Clark, the team’s best player when he went down 19 games ago. Jake Lindsey was lost to injury prior to the season. Kegler and Makai Mason were sidelined at the outset of the season. Mason has been limited in the last 12 games with a toe injury. King McClure missed five games in February with a knee injury. Those players have missed nearly 70 games. 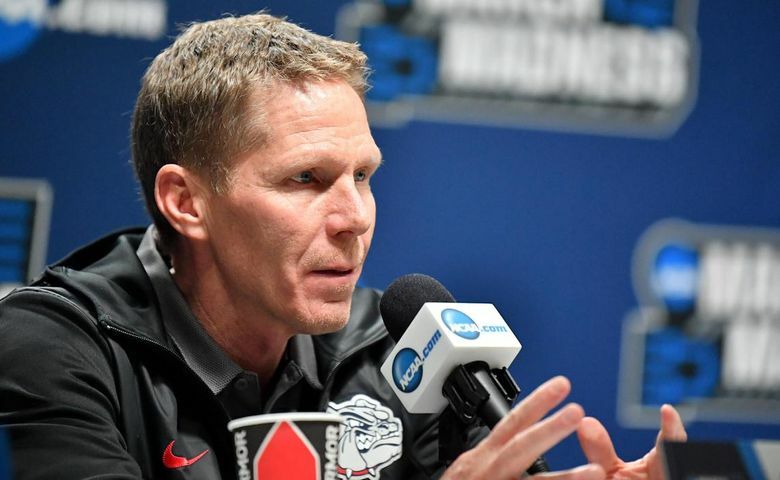 “Scott did one of the best jobs in America,” said Jakus, Gonzaga’s director of basketball operations from 2015-2017. Baylor isn’t the greatest 3-point shooting team by percentage (34.5), but the Bears have a habit of making key 3s, led by Mason, McClure, Kegler, Jared Butler and Devonte Bandoo. The undersized Bears are plus-6 rebounding, including 13.4 on the offensive glass, 11th nationally. Baylor ranks in front of Duke, North Carolina and Tennessee, opponents that stung Gonzaga on the offensive boards. North Carolina’s and Tennessee’s 3-point shooting were major factors in two of Gonzaga’s losses. 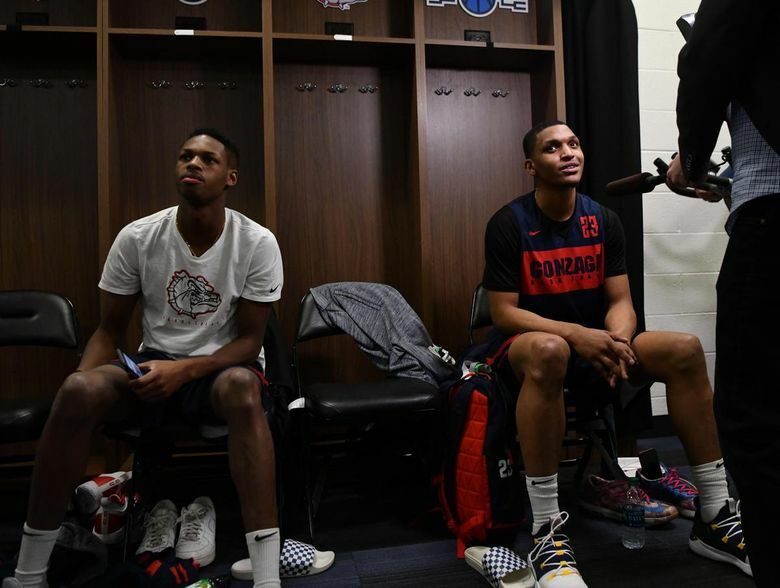 Gonzaga poses a number of concerns for the Bears. The Zags will have a size advantage and their multiple scoring options are a problem for any defense. Baylor’s zone defense attempts to control the tempo and get opponents out of rhythm. The Bears played a fair amount of man defense against Syracuse and shut down the Orange late in a 78-69 win. 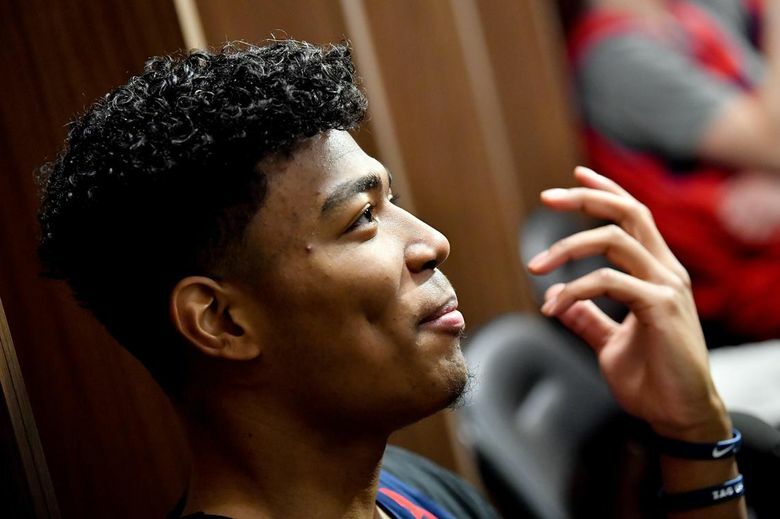 Tillie, who has made steady progress returning from a foot injury, could be a bigger factor with his ability behind the 3-point arc and using his 6-foot-10 frame near the high-post area.